Green Satin Halter Evening Gown | Sung Boutique L.A. 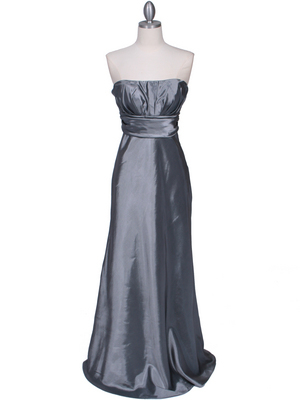 This elegant satin evening gown features halter neck with deep V-neckline. 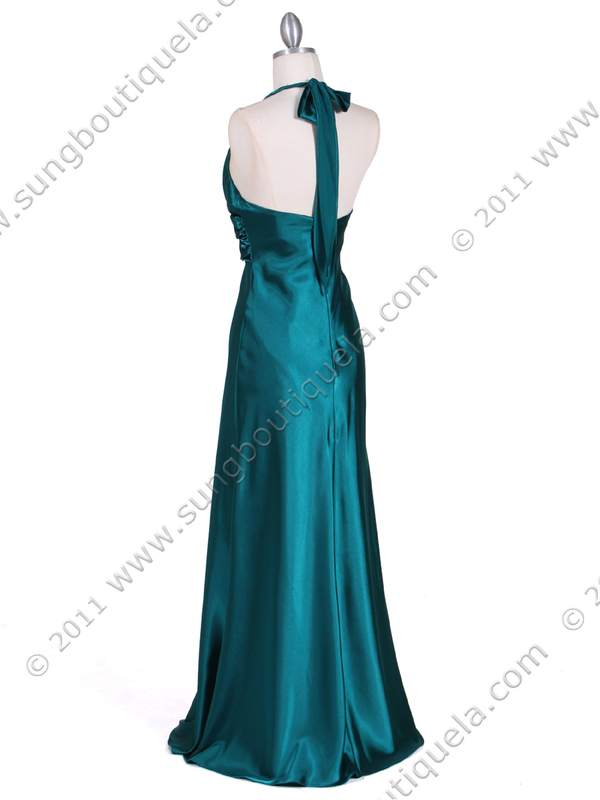 Slim and shirred waist with cascading sash and rhinestone brooch for added elegant. 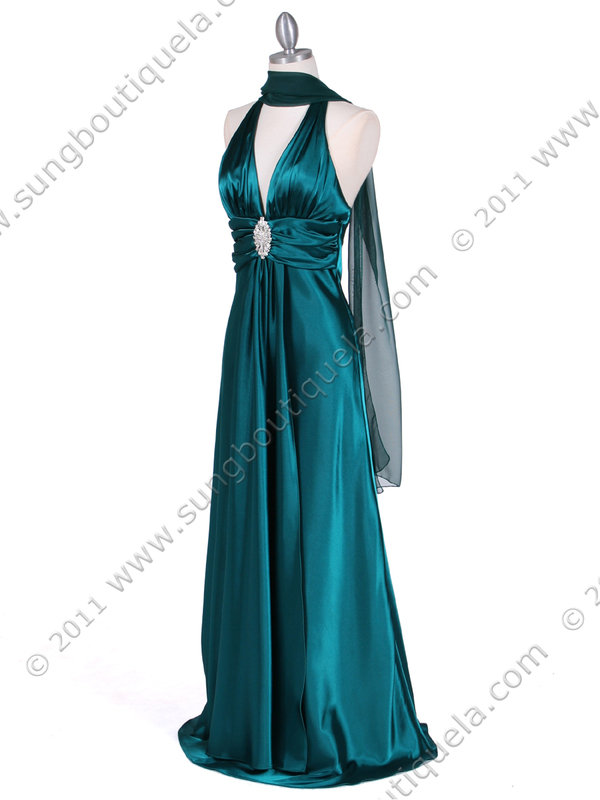 Back center zipper; matching shawl included.